This weekend, I attended the Healthy Living Summit, 2012 in Boston, Massachusetts. For the many of you who want to know how it went, I'm going to share! In stages. This is Day 2. Click here for Day 1. For those of you who are not interested in my blogger-fest activities, today you can cook this or try this workout. Oh, you want a NEW dare? Dare you to follow on Google+ and find me on Facebook to stay up to date with posts, see exclusive shares, and browse my instagram feed. Saturday morning wakeup. A bunch of running groups got up and out super early, but I hadn't slept much at all the night before, so I slept straight until my 7:45 alarm. 8am breakfast, folks! On my way to the breakfast room, I walked through a hall of our sponsors, who had information and samples to share with us. 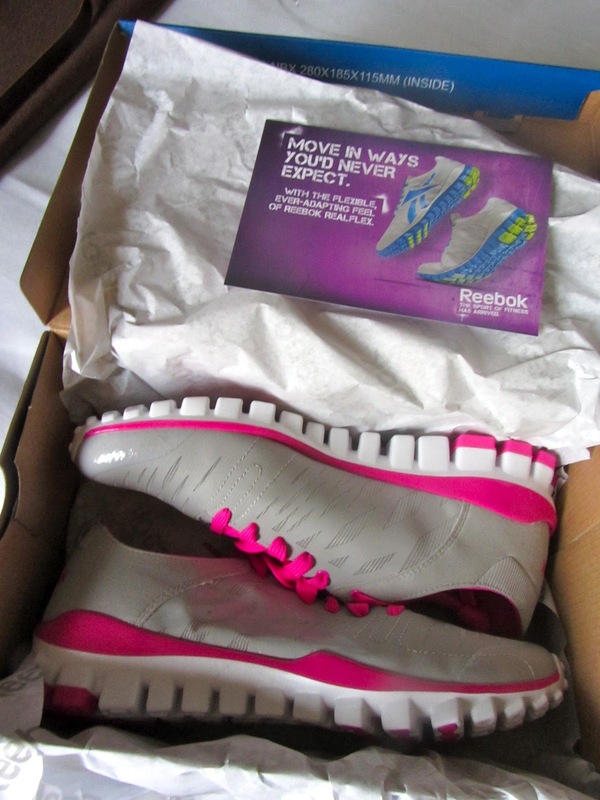 First stop: Reebok. 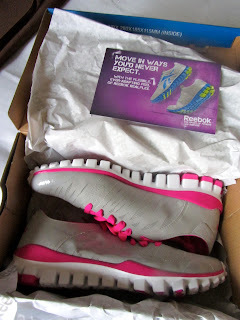 Of course, I'm still crushing on Reebok after all the CrossFit fun last Thursday. 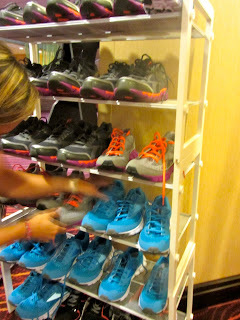 They had sneakers for us to try on for size, and we each got a pair of the ReelFlex Fusion TR with our swag! The folks from DailyFeats were there, too, to introduce us to their website, which I loved. The idea is to track and accomplish "feats" you set for yourself. A "feat" is every good thing you do toward your goals, whether it be exercising, eating right, drinking water, saving money, or making the bed. Another table had everything you need to know about Energybits and Skinnybits, (and Vitalitybits and Recoverybits), which are little, well, bits of algae. A calorie a pop, with a major protein boost. Although I'm skeptical of things with such names like 'energy' and 'skinny', I do like seaweed. I tried a few before the workout (keep reading) but didn't notice a big difference. If nothing else, I got protein out of it. I've got another sample pack so I'll keep you posted. At the cocktail party, I'd met Ronni (below, right) of Drink Chia, an "Omega 3 Superfood Drink infused with organic chia seeds, For the active lifestyle and those mindful of their health." Chia and Omega-3s have definitely been popular lately, so it's no wonder this drink is here to make getting those nutrients easier. The drink comes in four different flavors ("B Meyer" Lemon, Honeysuckle Pear, Strawberry Citrus, and Mango Tangerine) and contains real, whole chia seeds inside. For those who want chia but don't want the crunch that often comes with them (I like Chia's crunch in my Greek yogurt), the drink makes the seeds go down nice and smooth. Finally--Breakfast! 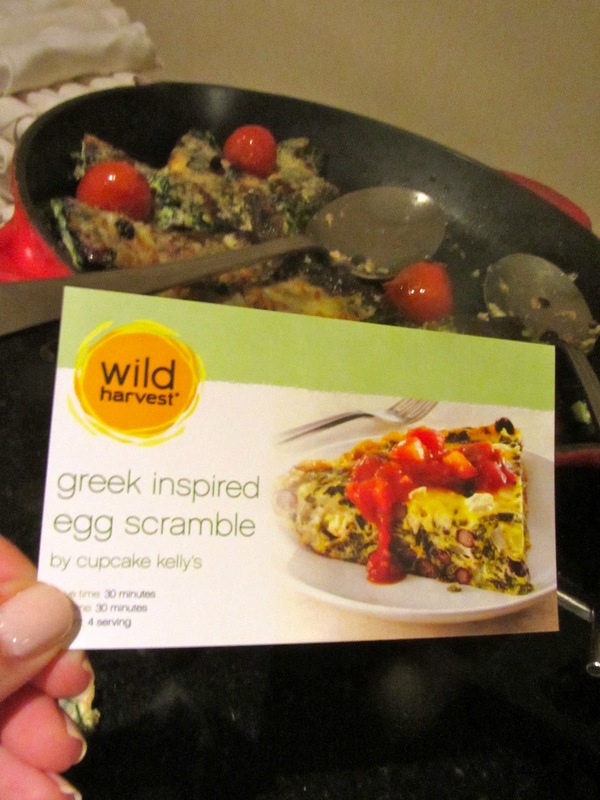 Breakfast was sponsored by Wild Harvest, and an egg recipe by Kelly won their Breakfast Showdown contest and was featured among the other dishes! I had some for breakfast and it was delicious. 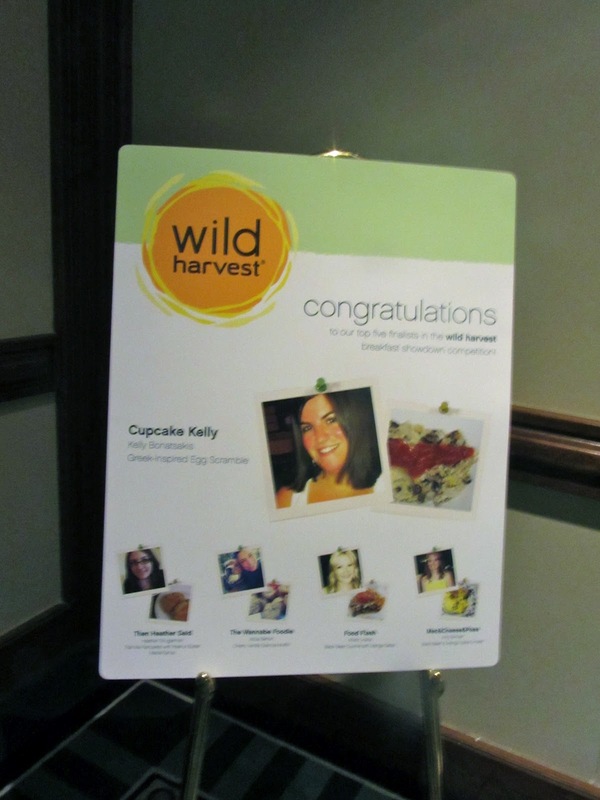 The planning team was comprised of Meghann, Heather, and Julie, who did an incredible job with the weekend. 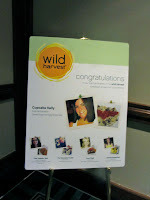 It was my first time at the conference, but I thought it all went so smoothly and had something for everyone. Wonderful job, girls, and thanks for a good time! 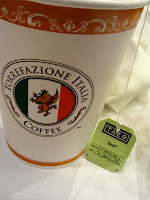 I sipped my tea while they made announcements. The questions were cute and some yielded very funny answers. This was a good time! And a few bloggers that I've known online for some time were in my group, which was great. Love "meeting" all these friends! 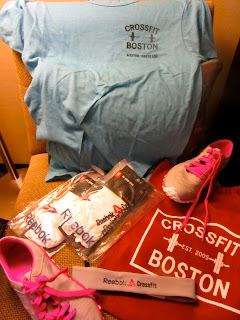 After that morning chat time, we gathered in the pavillion for our CrossFit WOD with Reebok. Look at those colors! On the way down, a hotel guest stepped into the elevator and commented, "Oh, it's a Diva elevator!" The trainers showed us how to properly squat (which I'd learned at Reebok NYC), and also showed a simple jump, arms in the air. WOD: 7 Squats, 15 jumps, AMRAP for 5 minutes. Okayyyy so we did it. Not so bad! The trainers came around correcting form, helping us out, showing how it's done. I thought I'd be sore but wasn't, but a lot of girls noted their thighs were burning the rest of the weekend. Not surprising--that's a lot of squats!! She talked all about how to host a group "Challenge" on your website, and the amount of time it takes and where that time goes. Amanda hosts these amazing month-long challenges every month, and she sends out helpful newsletters and has great prizes in the end. I'm glad this was my first session; I feel like I learned a LOT about the steps involved and the tools that help, so I'm ready to roll! 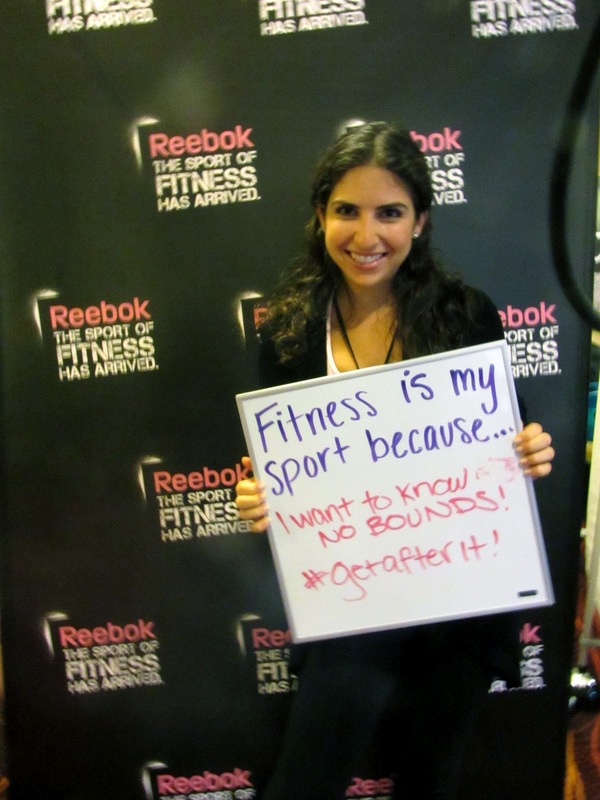 Next up was Blogging With Brands: a panel hosted by Lauren Podolsky with Kelly Olexa, Ashley, Theodora, and Anne. These bloggers, along with brand reps, gave us the low-down on working with brands, sharing insights and advice from both sides of the blogger-brand relationship. It was standing-room only in this session! Everyone had something to learn. Had lunch with Caitlin, Meg, Heather, Sara, Lisa, and Brittany. Had a taste, and discovered that I really like pistachios! Thanks, Oh! Nuts!! For the Afternoon Sessions, Courtney led a Newbie Q&A, which I followed closely on Twitter while I learned about getting involved in community events. I am the Blogger in Your Neighborhood: a panel hosted by Holly, The Healthy Everythingtarian with Meghann and Clare. 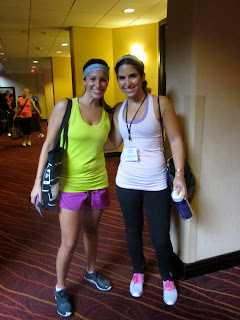 With Heather, who ran this whole weekend. Thank you!! Between sessions, we had some snacks - Thank you Driscoll's! I could NOT get enough of these walnuts! The final panel I had so much trouble choosing, again. I followed on Twitter to learn about Social Media: Keeping Up With Online Trends with Heather, while I took notes on ethics in The Fuzzy Grey Areas of Blogging, a panel hosted by Rachel with Dori and Teri. Here, I learned what's ethical and fair to myself and to my readers. Very helpful advice from experienced bloggers. Then, Closing Remarks were suddenly being made. The planning team and volunteers were all thanked and applauded, as were the many sponsors. 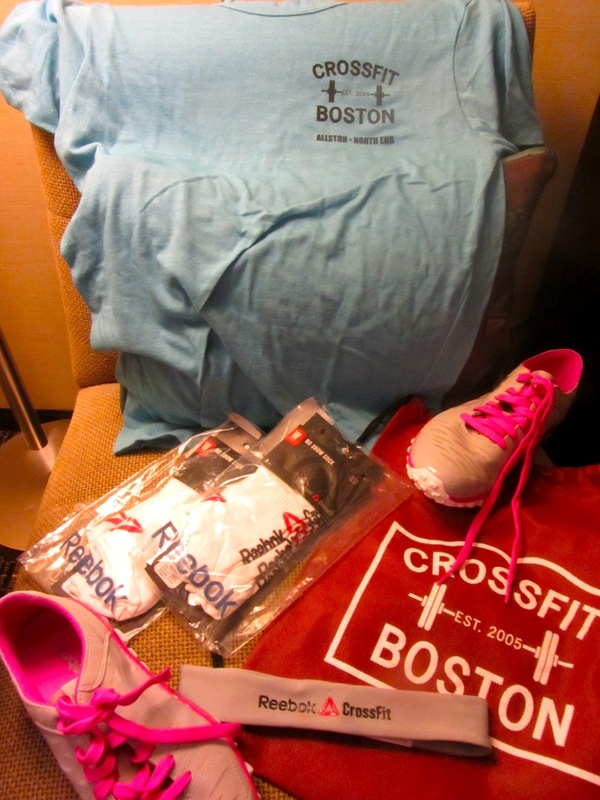 Thank you, Reebok and CrossFit Boston! 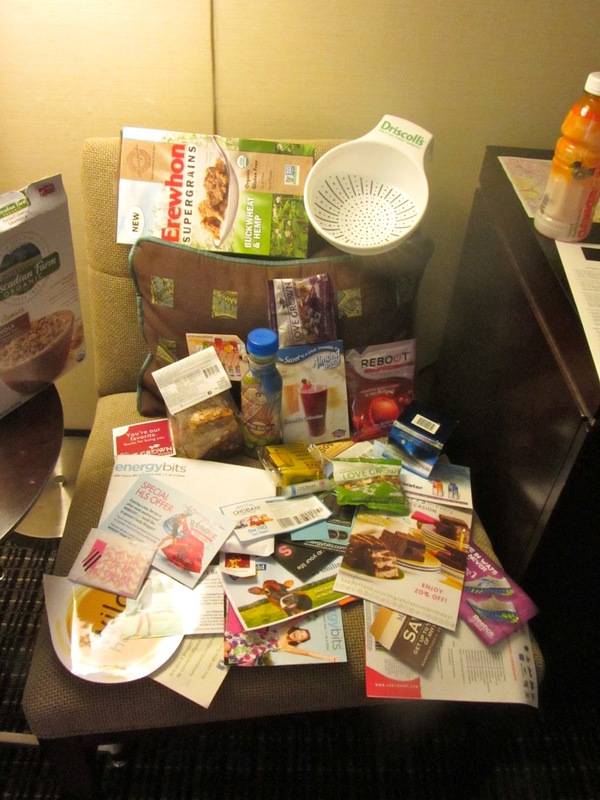 Thank you to all the sponsors - lots to discover!Excited for coupons from Chobani and Love Grown Foods. 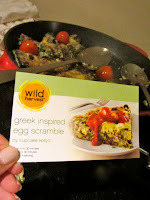 Friends from Greatist and DailyFeats invited me to join them for dinner (yay! 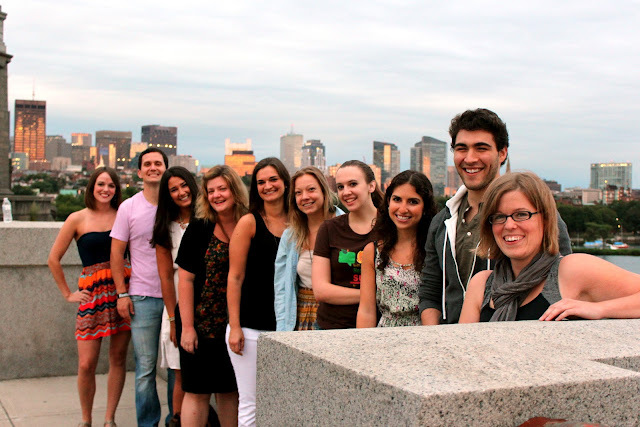 ), so a group of us walked across the bridge to a restaurant. The view was so beautiful, and the weather made for a pleasant walk. The girls were beautiful, too! We ate at Harvard Gardens, which turned out to be fantastic. The place was just the right amount of crowded for a Saturday night, with young people everywhere. The waitress was helpful and the food? All satisfying! Wow. All the plates that came out were delicious, but I was so happy with my choice. The combination of flavors was perfect, and every bite was better than the last. Really, with the soft, mixed consistency, this was essentially the same thing at my go-to lunch, except made with more fresh, gourmet ingredients and beautifully plated. I know it looks like mush, but trust me. And then, shuttle-less, we walked across the bridge and all the way back to the hotel, which was nice. Extra time for conversation and more fun! I think there was general consensus that this was just about the most fun night ever. A great group of people, some silly shenanigans, and a general good time. I'm glad for the memories, but even more glad to stay in touch! 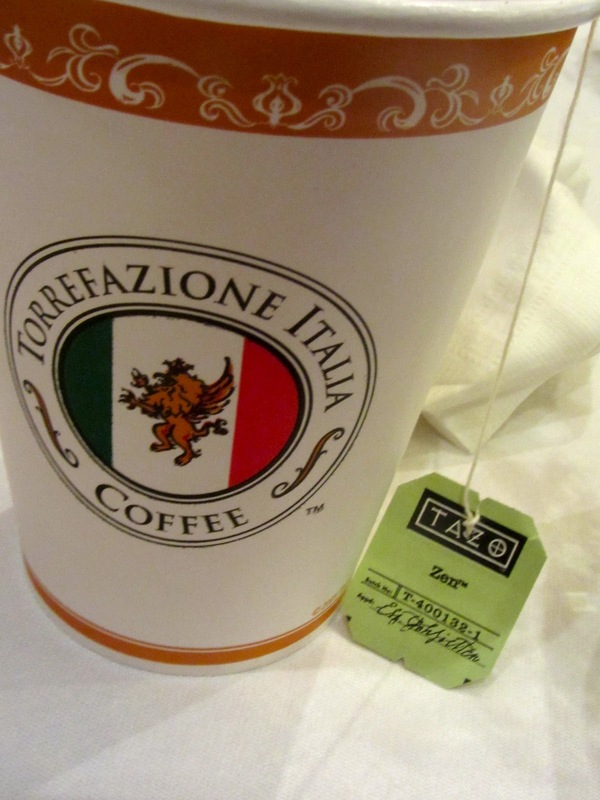 What are your favorite Boston restaurants? Would you be interested in joining a month-long challenge on Dare You To? What kinds of challenges would you like to see?